Fuglen finally has its own roastery in Oslo! Located at the outskirts of Gamlebyen, almost at Galgeberg, on St. Halvards gate. Here, they have installed Tim Wendelboe’s old Probat roaster. 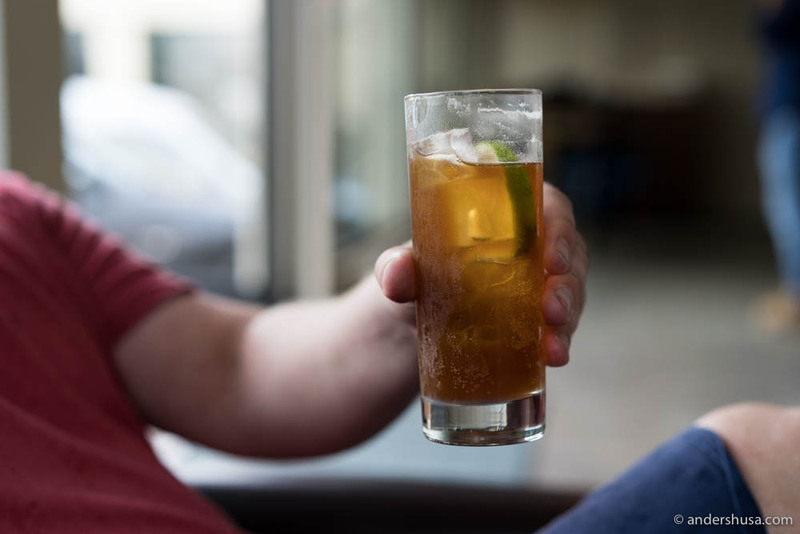 Luckily, it is also a café you can visit for Kalita-brewed coffee, espresso- and milk-based drinks, and even cold brew tonics in the summer. The odd location is very much in line with the philosophy of the Fuglen owners, who want to help create urban spaces rather than moving into established ones. That’s also true for their original Fuglen coffee shop in Oslo, which is located along the heavily-trafficked Ring 1 at the mouth of the tunnel on Universitetsgata, and even their two Tokyo locations. Kaffefuglen opened as a tea and coffee shop on Universitetsgata 2 in 1963. The shop was later purchased by Einar Holthe, who teamed up with Halvor Digernes (the cocktails guy), and Peppe Trulsen (the vintage furniture guy) and renamed it Fuglen (the bird). It is operated as a coffee shop by day and cocktail bar by night. The original interior from the 1960s remains still today, although the venue has been expanded slightly. All of the furniture inside the café is for sale since the guys also deal in vintage Scandinavian furniture. So if you like the chair or sofa you’re sitting in, the table where you put your coffee or cocktail, or the picture on the wall – you can buy it. Fuglen Tokyo opened in the trendy Shibuya district in 2012 and has had a tremendous success, making it one of the most popular and Instagrammed coffee shops in that part of Asia. Last week (September 21st), the guys opened a second shop in Tokyo in the Asakusa neighborhood, across two floors of the capsule hotel 9H – Nine Hours. 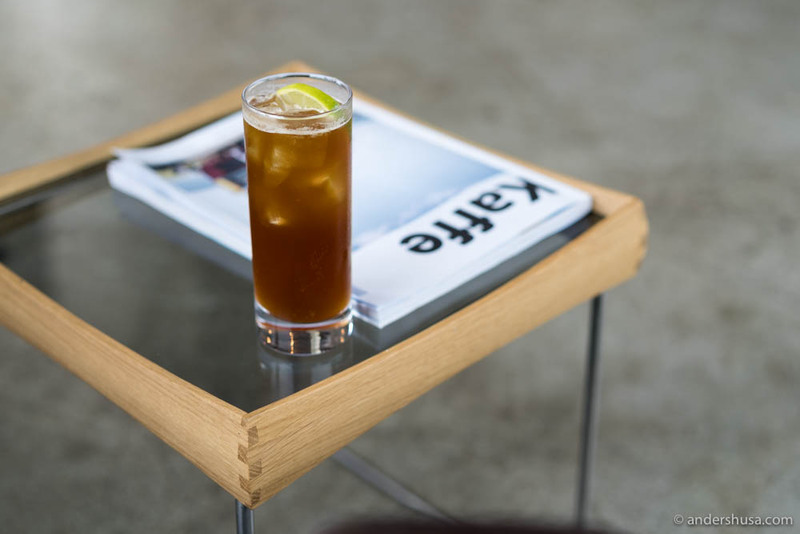 The keywords are the same: coffee, cocktails, and vintage Scandinavian design. The package design is as cool as the Fuglen posters. Illustrations by Bendik Kaltenborn. 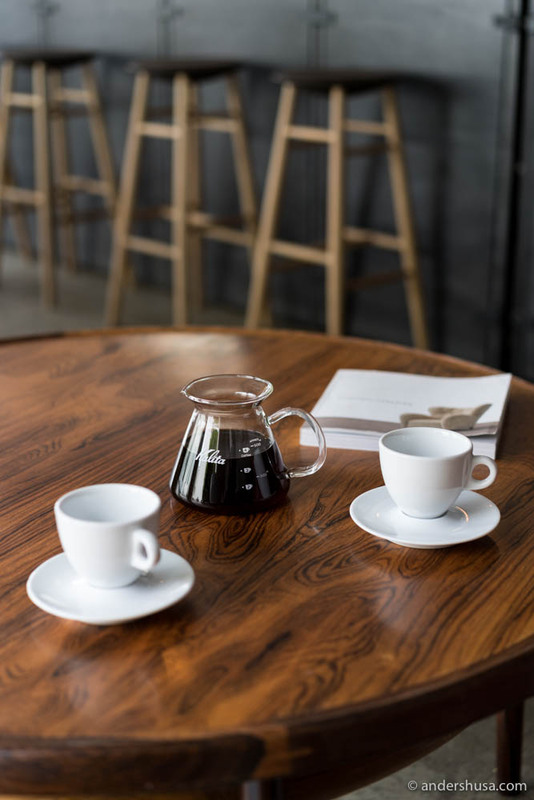 In 2014, the first Fuglen coffee roastery opened in Japan, but it would take another four years before the Oslo branch became a reality. At last, we’re also getting the beautifully designed bags with illustrations by Bendik Kaltenborn. – Fuglen has been wanting to do this for a long time, but didn’t have the right people in place, says Joakim Pedersen. 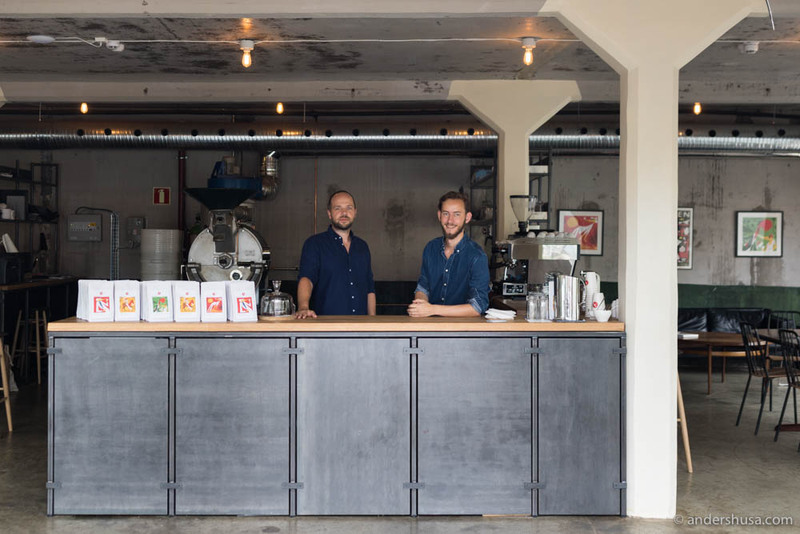 Pedersen is in charge of the daily operations at the new Fuglen Coffee Roasters in Oslo, where he works together with roaster and barista Ludvik Bonna Hopstock. – This is a place for anyone that wants a good coffee experience outside the city center. We won’t do cocktails here, but soon we’ll add beer and wine to the evening menu. 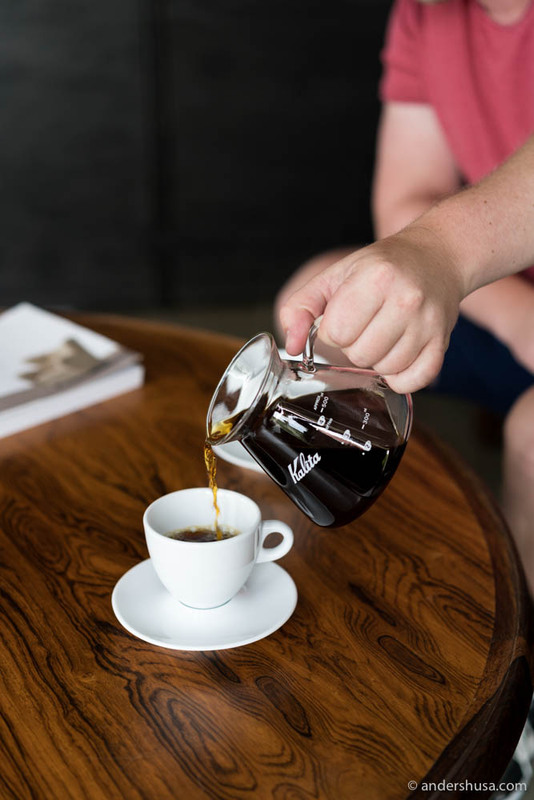 Fuglen Coffee Roasters is also the new home of Tim Wendelboe’s old Probat roaster. 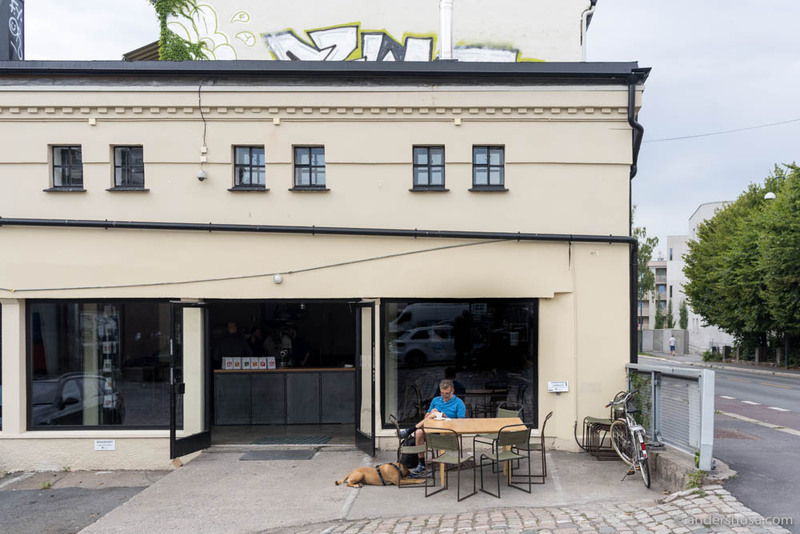 It moved out of Wendelboe’s coffee shop last winter when he made room for more seating space in the café and re-located his roastery to Tøyen together with the importing company he helped establish – Nordic Approach. 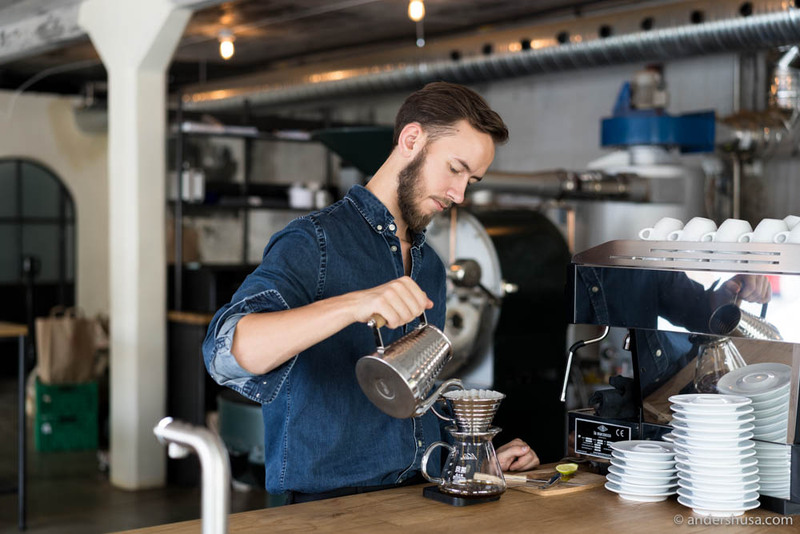 Coincidentally, Pedersen started his coffee career as a roaster for Tim Wendelboe and, thus, it’s extra special for him that they are now roasting their beans using the same machine. – We bought it partly for the history, but also because we knew it was kept extremely well and is a proven producer of tasty coffee. It doesn’t hurt that the colors match the walls. 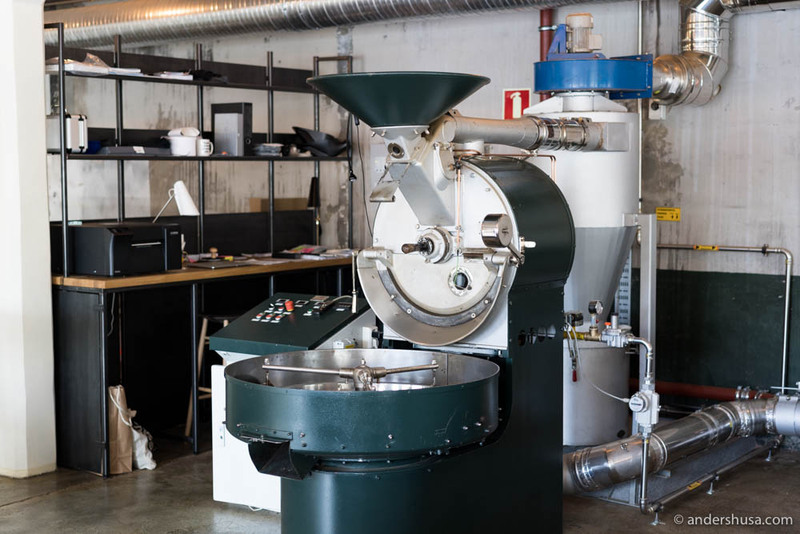 All of Fuglen’s coffee in Norway will be roasted using this machine. They supply their own coffee shops, but also other restaurants and cafés. 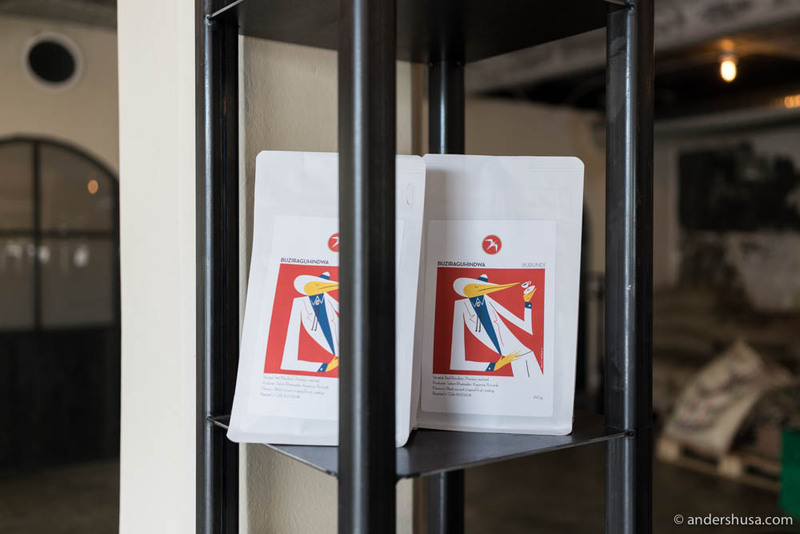 The style is the typical Nordic light-roast, and the green beans will mostly be supplied by Nordic Approach, which values high quality, sustainability, and fair trade with small-scale farmers. 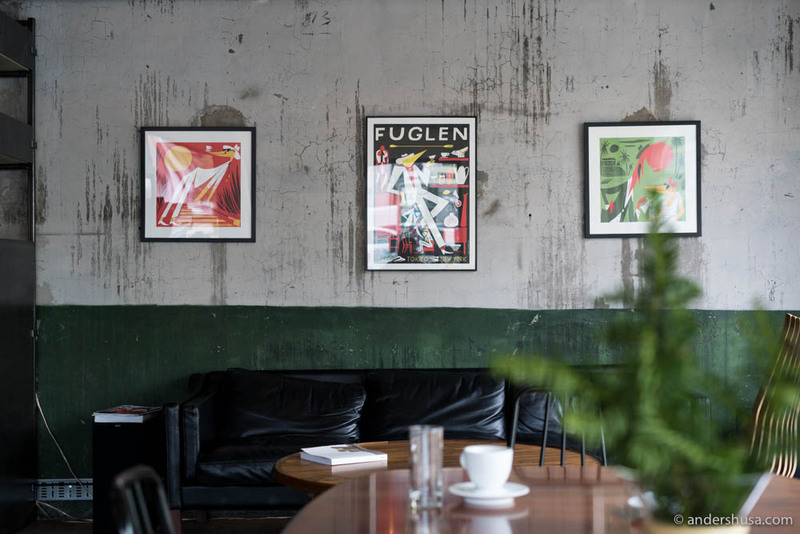 Will you venture out to Gamlebyen to check out the new Fuglen Coffee Roasters? Please let me know in a comment below.